‘Fair Trade’ Ethics – Feel good about gold making again! No Farming, unless you want to. And then we got you covered. A full system, how to make gold in every single method, every single server. No specific time required. Make gold when you want to. You won’t be pressured into leveling up ten characters at once or trying to flip epic items on day one with this guide. Instead, I’ll ramp up slowly by teaching you how to make gold with what you have now, even if that’s nothing. Move forward in the guide as you get comfortable with each step and you’ll be looking at earning hundreds of thousands of gold on a weekly basis faster than you’d ever thought possible. You will be blown away by how frequently I update this guide. Due to the fact that I am an expert player who needs to maintain a blog, various social media sites, this guide and even a forum you’ll find that no one else can compare the amount of knowledge I constantly equip myself with in World of Warcraft. Other guides may bolster get rich quick schemes or common farming spots but you’ll find neither in this guide. Instead, you’ll find what works thanks to thousands of hours of me finding out what doesn’t so you don’t have to. In Vanilla Warcraft, I never owned more than 20 gold at any one time. I had to go without learning my level 40 skills in order to buy my first mount. Every day was a struggle to pay for repair bills and farming was a chore required to do the things I love in this game. There was this one time I had to borrow a few silver to afford the flight path to Molten Core with the raiding guild. We didn’t even have YouTube farming guides then, but I tried the farming spots my friends recommended. In a few days, the gold was gone on repairs and expenses. There’s a way to make gold and never stop making it and you’re only one click away from learning my secrets! And if you automate this process you will never stop making insane amounts of gold! What I’m going to share with you will enable you to play this game the way you, me, and everyone else loves to play it: Care free and with gold coming out our ears! Once you learn how gold really works, and how every item has a secret, hidden value, you’ll then make unlimited amounts of gold every week. How does 60,000g per day at level 100 sound? That’s just the tip of the iceberg! We haven’t even got to level 110 yet! My guide doesn’t have any of those stupid fake ‘secrets’ that will be gone with the next expansion or content patch. Instead, I walk you step by step through making gold in this game with rock solid, fundamental economic strategies which will allow you to easily make up to 20,000g every day from the very start. 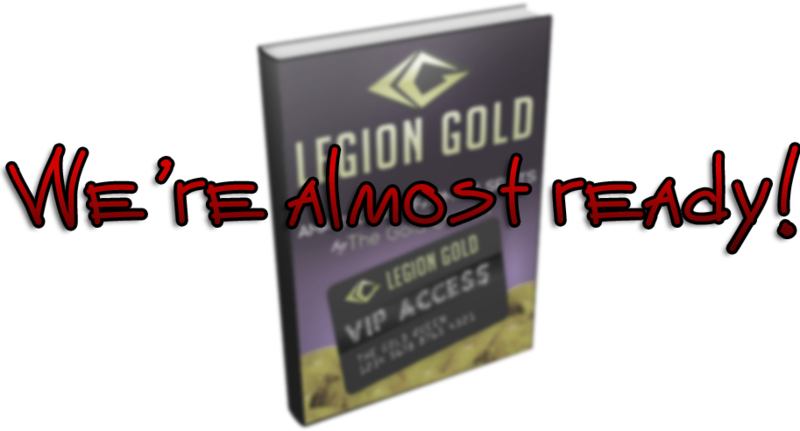 In fact, when Legion is over, and the next expansion is released, you won’t need to buy another WoW gold guide. Yes there will be new items and gear, profession changes and new farming spots, but the guides I teach you are timeless and that’s what makes them so successful with players of all skill levels. See for yourself, mouseover the tabs at the top of the screen to see the names of the pages. Every page is bursting full of HD videos. Start with as little as you want, and add as much as you can take. There has NEVER been a World of Warcraft gold guide this big. I had to buy new hard drives just to hold the raw video footage! I started my gold making blog all the way back in 2010. With three years gold making secrets already under my belt, my guild mates had started asking questions, the same questions, and I needed to make a FAQ and a record. How did you make so much gold and nobody knew!? Is keeping it a secret necessary? How much do you make every day? What professions do I need? Can I really do it without much time? What do you mean I don’t need addons? So which addons will help me then? And how do I learn them? What if I need to work in the day and can only play in the evening? The blog was soon famous and starring on WoWuction and The Undermine Journal. Does this method work on any server? It doesn’t just work on any server, it works for any player, any time, any expansion, with any life circumstances. Struggling in Vanilla, I started learning about gold farming. In The Burning Crusade, I created the Eternal Gold Method. I’ve gone through the Wrath of the Lich King becoming the richest player on my server and then cloning that on more realms. When Cataclysm reshaped Azeroth, the Eternal Gold Method was still working. I’ve been through the grind of dailies quests in Mists of Pandaria. I wrote a best selling Garrison Gold Guide in Warlords of Draenor. Now in Legion, I’ve been researching farming spots, professions, and daily routines since my Alpha invite. I’m already months ahead of the competition, and you can be too. Do you have to be some kind of whizz kid with 18 hours a day to play? Not many people know this, but I’m a single mum, and disabled myself. So, I understand if you’re disabled, or working full time, a busy parent, a student trying to focus on your exams, whether you’re spending most of your time in the game reaching for a server first kill, or whether you’re daunted by the grind to level 110. I have done the hard work researching SO YOU DONT HAVE TO! Are you really a Gold Queen? There are two ways to be the biggest. Knock everyone else over, or help each other get big and grow together. The second way is the way of pride, integrity and rightful celebration. actually enjoy playing, ethically, without pay-to-win? and what happens when your wowtoken runs out? You just buy another token, giving your money to Blizzard, while our gold making members pay for their gaming time with your wowtoken! 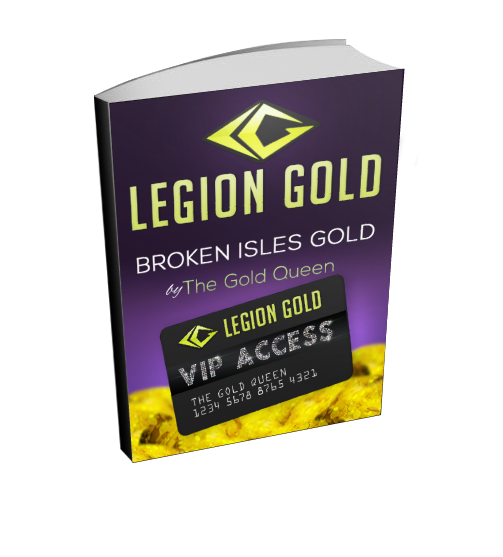 These methods are not stolen from other players, in fact Legion Gold was the World’ First Gold Guide written in front of other players, with under a hundred select members watching every part be put together over the last few months! I don’t do YouTube. I tried, I didn’t like it. 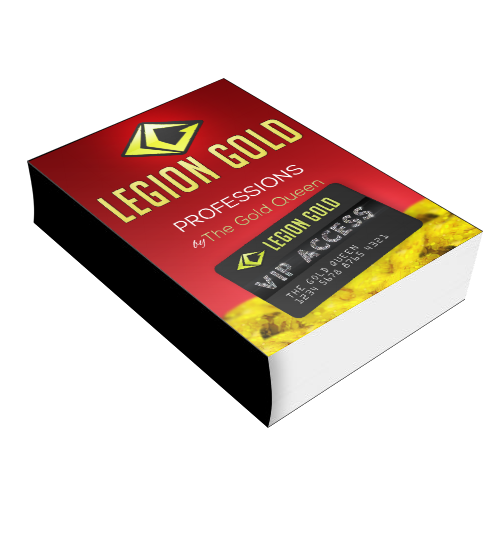 Legion Gold Guide is for when you are ready to move on from YouTube, blogs, podcasts, and hanging around on Twitch Livestreams asking questions that get vague and unhelpful answers. You need to know how to farm, so you can teach your peons and subcontractors, who will do all the work for you. Or you can choose to do it yourself if you need some downtime or just to enjoy the sights of beautiful Azeroth. I’ll show you the best farming routes that I use. Short 5 minute runs, herbalism/ore routes around Broken Isles, or long 2 hour continental relaxing day trips! The point is, you get to choose. It’s your choice. If you want to farm, you can. If you don’t want to YOU DON’T HAVE TO! 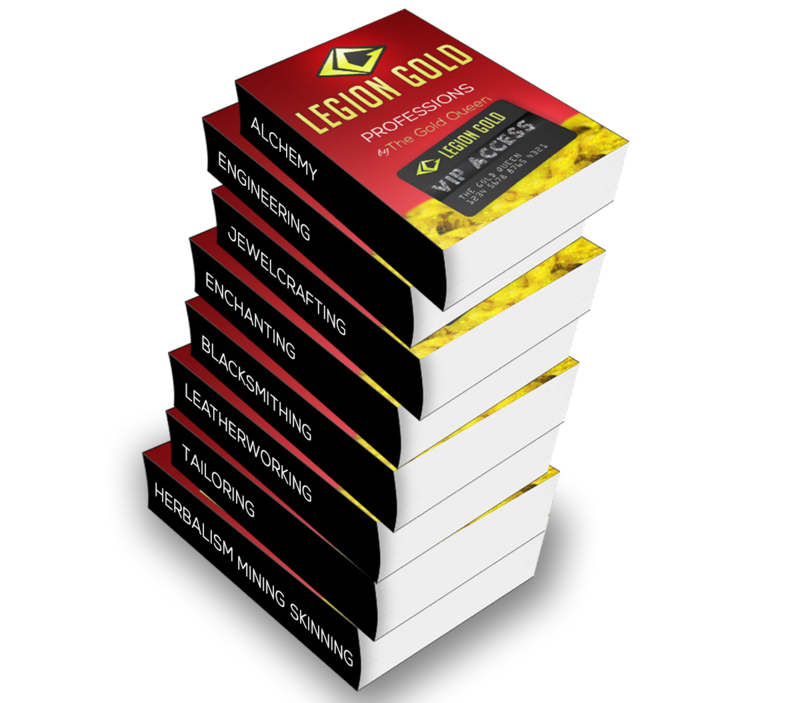 In Legioln Gold you won’t find just the standard web forums like the so-called “superior” gold guides. We’re moderated by a team of gold millionaires. Professionally. Mermbers contribute to Wowhead-style comments, with the best advice and comments rising to the top. Found a helpful tip that matches the guide? Add it for everyone else to see. We work together. Got a problem? We work together to solve it. 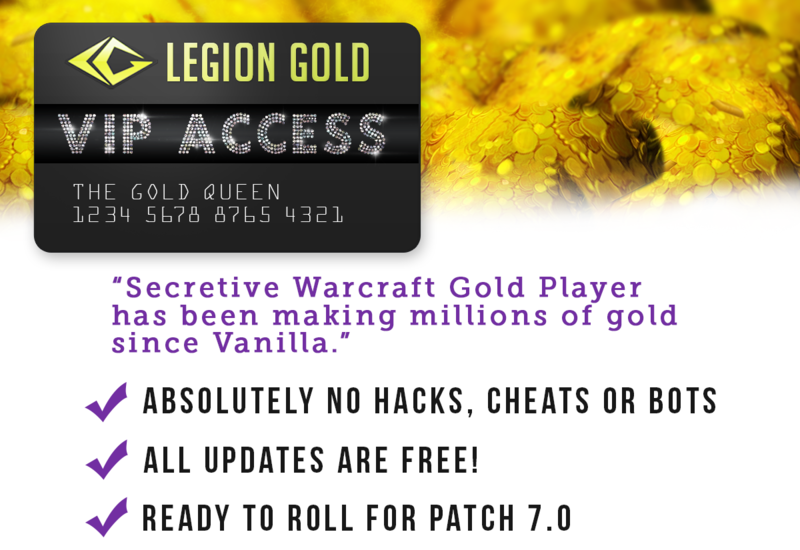 And you’re backed up with 1-2-1 support from the best secret Warcraft gold makers. The Eternal Gold Method in 20+ videos, broken down into easy little steps. HD Video if you want it. or SD Video for your iphone, tablet or mobile phone. Auction House Flipping explained and made plain. Legion Stockpiling, list of 89 items you need to buy NOW. Legion Farm Routes – Felslate, Leystone Ore, Foxflower, Starlight Rose, Aethril, Fjarnskaggl, Dreamleaf. Fishing Artifact, how to get it. Professions Gold Making Guides from level 1-800. Ancient Mana and Blood of Sargeras gathering. New Legion Reputations with special shoulder enchants for farming. Addons. TSM3, including strings, groups, and how to make your own, plus 10 other crucial addons, all from my Curse Gaming Gold Making Addons Pack. Explanation of the economy and how to react to buyer’s needs and research trends on WoWuction and The Undermine Journal. How to manage your banks, your alts, your guilds, your bags. How to sell so that buyers choose your item even if it is priced higher than your competitor! How to support your competitors and get support yourself. Or how to totally destroy them, if you so choose. Steps so easy that you will not realise how far you have come and how much you have learned until you stop and look back on your journal. You will take gold making for granted! Journals, Hall of Fame for the best, Forums so you can share and swap tips. These methods are so powerful that they come with an ethical disclaimer. It’s easily a $297 value for all these guides and bonuses, but I’m practically giving it all away with this great deal. Eternal Gold Guide + Farming Gold Guide + all the other guides as they’re made! You cannot buy access to this guide today! It’s still under construction. We are creating it behind the scenes with a team of some of the best Warcraft Millionaires on the planet. It’s not complete yet, we’re nearly there, and we’re in the last few weeks to finish creating the guide. Join us now, before we’re finished, and come watch the last pages, videos, PDFs be created and added. Get in ahead of the buyers. Support me on Patreon and get free access to the guide While it is being made as a pre-launch perk. It’s that easy! Good luck and have fun! I can’t wait to see your emails and success stories! PS. Remember, if you aren’t completely satisfied with your purchase I will un-enroll you from the member’s area and you can stop your Patreon monthly payments. I’m known throughout the WoW community both for my guide and for my honesty. Q. Do you update the guide? Is it up to date for the latest patch? A. Of course! Legion Gold Guide is the fastest guide to be updated. Every time a game update is released I am excited to post on my blog, and update the guide with all the lastest changes. We’ve got a patch 7.0 video guide just waiting for you, along with the 7.0 Broken Isles farming routes! Q. If too many people get the guide, will the methods still work? A. The best part about this guide is that it creates a unique strategy for you on your server. So even if a hundred people own this guide on your server (and odds are there will be) the methods will still make you plenty of gold. Q. What am I buying exactly? A. 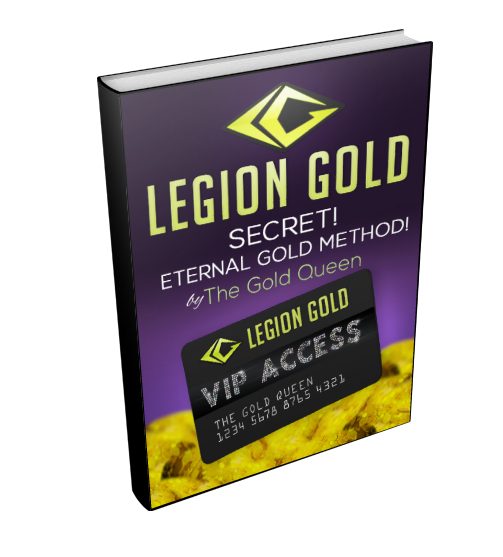 After purchasing you will have immediate access to the gold making guide as they are made. Since the guide gets updated with every patch you will be able to access updates for patches and expansions to come, making it a priceless value for a small monthly payment. Q. Is there a download for this guide? A. After ordering, you’ll be emailed your log in details which give you access to the exclusive members area. 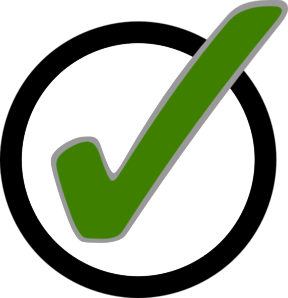 Once inside, there are many different resources (some downloadable). However, the most of the guide is online. Q. 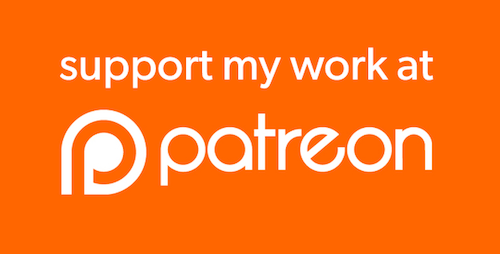 What happens to my Patreon monthly fee after the guide is launched? A. After we’ve launched, you can switch to being a full paying member, which will cost only a little more. It will be the same guide, except completed and filled, and the same forums and the same millionaire support around you, just a different payment method. Q. How long does it take to get the guide? Q. Can I be an affiliate? A. You’ll be able to apply for affiliate status once the guide is fully launched. Q. Is the guide super basic? A. If you’re a beginner, this is guide will give you an amazing head start. Since it covers all levels it is basic enough for beginners, yet will guide you right through to playing with the WoW elite! This is the only gold guide you will ever need to buy.